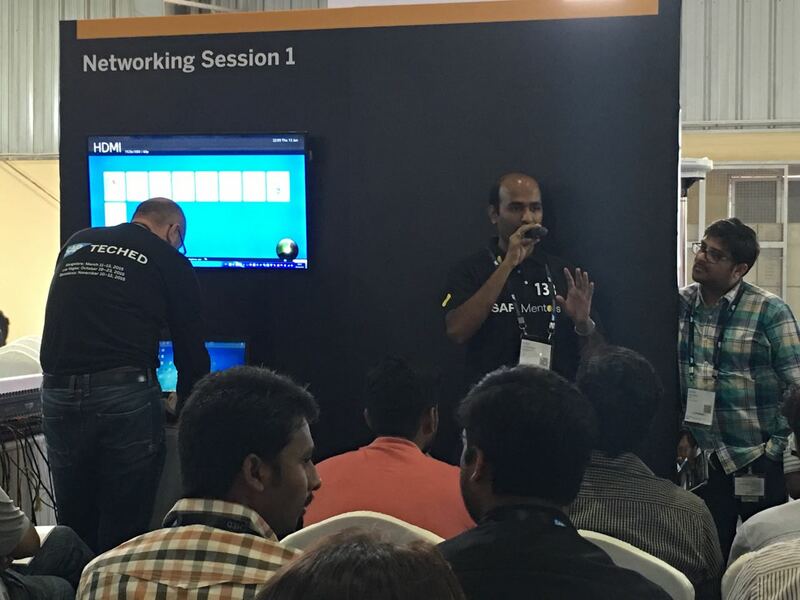 Many firsts to mention… My 1st post in this new and refreshed SCN, my 1st networking dinner with wonderful folks from SCN, 1st experience as a SAP Mentor in Teched 2016, at Bengaluru!! Really we must appreciate the hard work the SCN Folks put in to run the show. Though Idit was superb tired due to the long travel and jet lag, she still made it to the dinner. And while leaving, advised us to be more active than ever on the new SCN Platform. Yaniv, who travelled from Berlin for the Tech Ed, had to rush back on Thursday, to support the Go-Live of the new SCN platform. Kudos to you both!! Our 1st day at Tecd Ed began with much fervor and color. 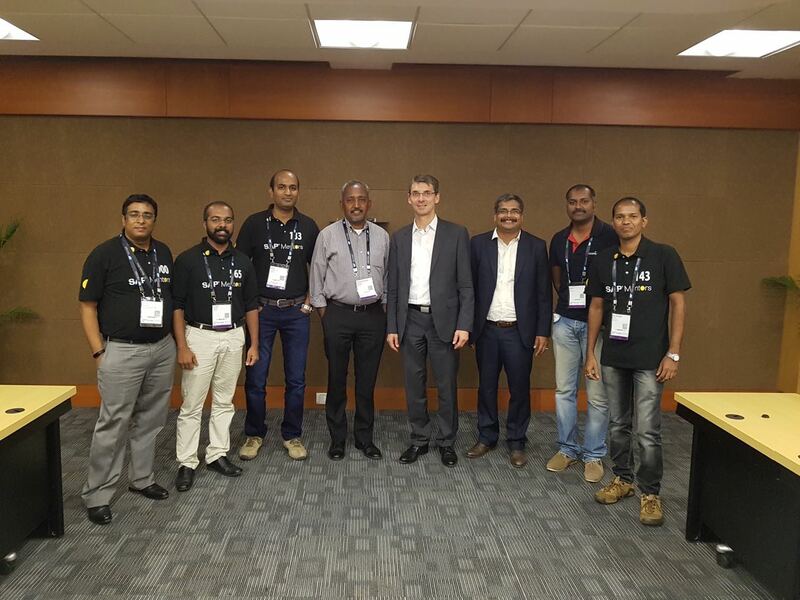 The welcome speech by Dilip Khandelwal and Bernd Leukert helped us know the future path of S4 HANA. The demo of Fiori 2.0, the new Co-Pilot and the BW 4 HANA, were superb!! At 12.30 PM, I set in for the networking session that I have scheduled for S4 HANA Finance Simplifications. Being a Mentor, I had the privilege to schedule the session. I was overwhelmed to see the no. of participants who were waiting to be seated for the session. And before the session, I published a message on my facebook page (MadAboutSAP) about the session, so that the word could reach. Keeping in mind the short 30 minutes slot I got, I thought the best way to add value would be keep it an open session where people can get their questions answered. So, we stuck to the Q&A format. After the session, I felt the decision was pretty much correct. 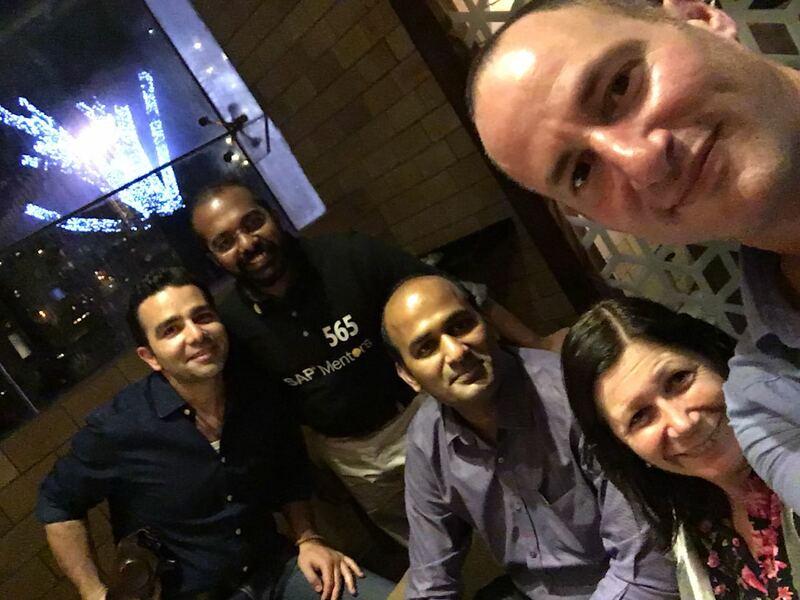 We interacted on a lot of topics – Custom/Vendor Sync to BP in S4H 1511, Migration issues, Account Based COPA, ALE in S4H, New Asset Accounting, etc. To be honest, the 30 minutes were just too short, considering the enthusiasm and the quantum of questions that people had. We had to vacate the booth, as the next session was equally awaited for with the same enthusiasm. But then we all assembled outside the booth to answer few more questions. And guess what? 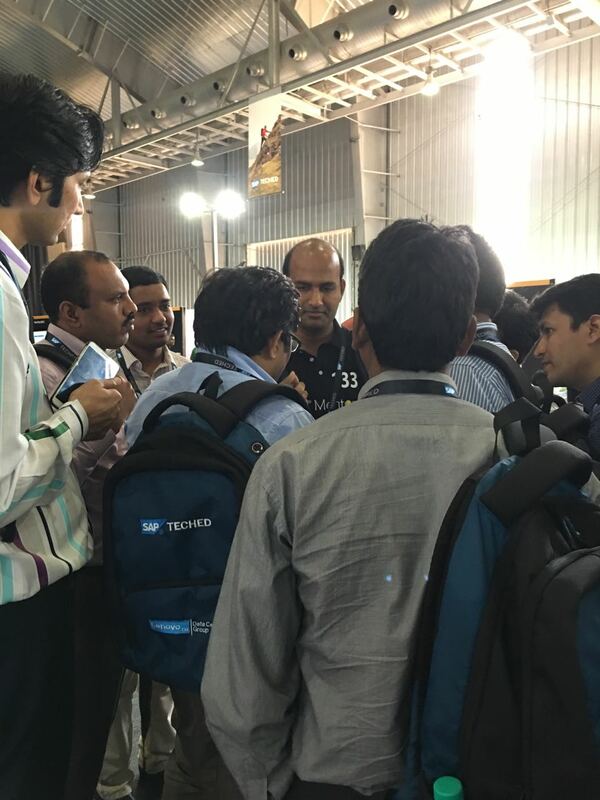 The experience did not end in Bengaluru with the TechEd. 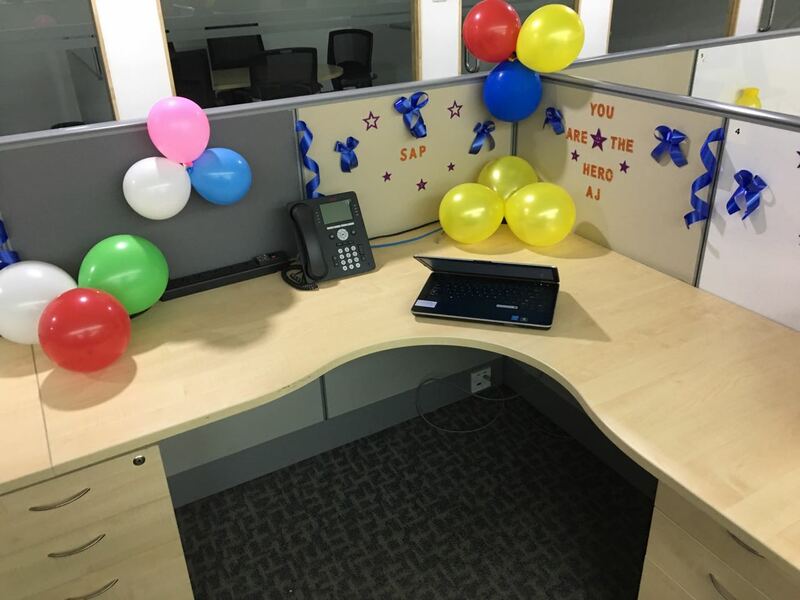 After I returned to office, I was swept off my feet, when I saw my desk decorated. My wonderful team at office, did that for me. Really cant thank them enough!! Overall, it was an experience, one could never forget. Thanks to SCN, Thanks to Bernd, Sven, Colin and Dilip for their time, and a BIG Thanks to the wonderful team back at Itelligence!! it was a pleasure and great fun to finally meet you! You mentors definitely deserve the amazing level of admiration you get from community members! Hi Ajay expert, please kindly help me with my problem? link is : https://answers.sap.com/questions/365150/index.html, Appreciation so much! Hello Ajay. I would like to ask if there are any implications if you deactivate the indicator in Company Code Validation in Tcode OKKP? Hoping for your assistance. Thank you and God bless.